SUNDAY, Dec. 18, 2016 (HealthDay News) -- Millions of Americans will pack up their cars and hit the road over the holidays. But sometimes the highways get jammed and the weather doesn't cooperate. Check the forecast. Be aware of the weather along your route and plan accordingly. Drive carefully. This means the driver and passengers should all wear seat belts. Don't speed or drive impaired. Be sure to leave enough space between you and the vehicle in front of you. Stay alert. It's important to stop and rest often during a road trip. Don't drive if you're overly tired. If possible, share the driving. Don't bend the rules. Obey all traffic laws, signs and regulations. This includes speed limits. Driving too fast increases your risk of an accident. Consider highway workers. Be extra cautious in work zones. Don't drive distracted. Pay full attention to the road and never use a cell phone while driving. Check your lights. Be sure your headlights, taillights, signal lights and windows are clean. This will ensure you can see properly and other drivers can see you, particularly while driving at night. Make sure to turn on your headlights when dusk approaches. It's also important to use your headlights during inclement weather. Don't "overdrive" your headlights, which means you should always be able to stop within the lit area in front of your car. Be prepared. Keep an emergency kit in the trunk. It's also important to keep your gas tank full. 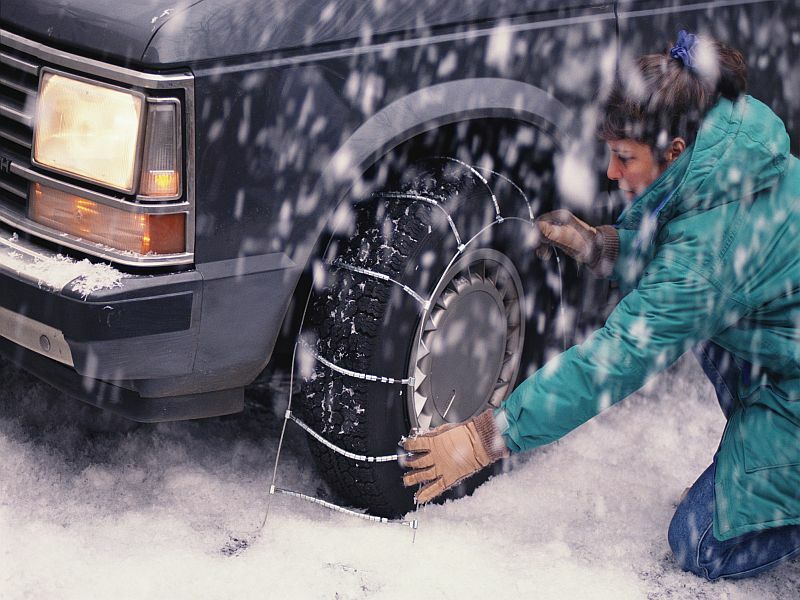 This will help ensure you're not stranded and keep the car's fuel line from freezing. In the event of an emergency, pull off the road as far as possible. If your car is stuck in the snow, stay with it and do not attempt to walk to safety. Instead, tie a red or bright cloth to your antenna so you are visible to first responders. Keep your hands clean. Be sure to wash your hands often with soap and water. Remember, if you're traveling by plane or taxi, your bags and luggage will be handled by other people who may spread germs. It's also important to avoid touching your face and eyes. Cover your coughs and sneezes with a clean tissue or your sleeve. Carry hand sanitizer and anti-bacterial wipes with you. These wipes can be used to wipe down surfaces, such as armrests. You can also use them if you don't have immediate access to soap and running water.